It has been known for over a century that there is an afferent (body-to-brain) component to the visceral-autonomic nervous system. 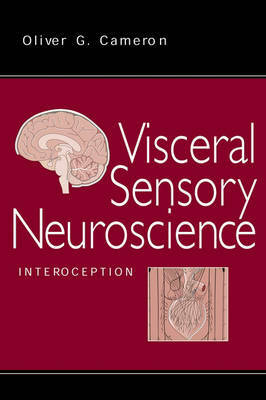 Despite the fundamental importance of bodily afferent information - sometimes called interoception - to central nervous system control of visceral organ function, emotional-motivational processes, and dysfunctino of these processes, including psychosomatic disorders, its role did not receive much attention until quite recently. This is the first comprehensive review of this topic and it covers both neurobiological and psychobiological aspects. The author first defines the issues and gives an historical background starting with the James-Lange theory of emotion, and addresses learning and motivation, roots in Pavlovian conditioning research, and operant conditioning of visceral function. In the second section he reviews recent scientific findings in the neural basis of visceral perception and studies in cardiovascular-respiratory and alimentary interoception. Finally, he discusses several related areas of research and theory including drug state issues, interoception and psychiatric disorders, and bodily consciousness, and suggests directions for future investigation.